As a species, we weren’t designed in a lab out of synthetic components just as we weren’t meant to be physically idle most of the time or to live in artificial environments. Over millions of years of evolution, nature is the cradle where early humans organically, intuitively, and empirically experimented, tested, developed, and transmitted their human Natural Movement aptitudes to the next generation. Wild, natural environments provided the greatest number of variables in terms of terrain, surface, texture, or weather. Our brains weren’t designed to help us navigate linear, sterile, predictable, artificial environments. Whenever possible, movement patterns must be “reintroduced” within the environment where they ultimately should be done. It is vital to your central nervous system that you gradually practice motor control with exposure to diverse contextual variables, from simple to difficult. Doing so breeds adaptability which itself enhances movement competency. Without exposure to realistic physical variables, the adaptability of motor control remains dormant, and we would be hard-pressed to think that low movement adaptability is an expression of high levels of function. Fortunately, this principle doesn’t mean that our Natural Movement aptitude is only effective in natural contexts, as clearly one can practice or use Natural Movement also in urban or artificial environments. Evolutionary psychology is not limited to how we psychologically behave; it also includes a natural instinct to move that’s irrespective of the naturalness of the environment itself. This is exemplified by children who will crawl, jump, hang, and climb anywhere possible including a living room or man-made playgrounds; by climbers who train indoors on artificial climbing surfaces; or simply by any wild animal that ventures through a city. Our Natural Movement behavior doesn’t go away just because the environment becomes artificial. Because movement is contextual and the environment where movement takes place represents the primary aspect of context, the environmental principle is strongly related to the Adaptable principle. Movement should adapt to the environment where it takes place. From the practical standpoint of readiness, adapting to the environment makes sense. Do you want to be adapted only to clean, linear, non-slippery, reliable, and predictable environmental variables, or do you want to become adaptable to a vast array of random variables? Do you want to walk OK on pavement but be in trouble when you’re hiking in nature? 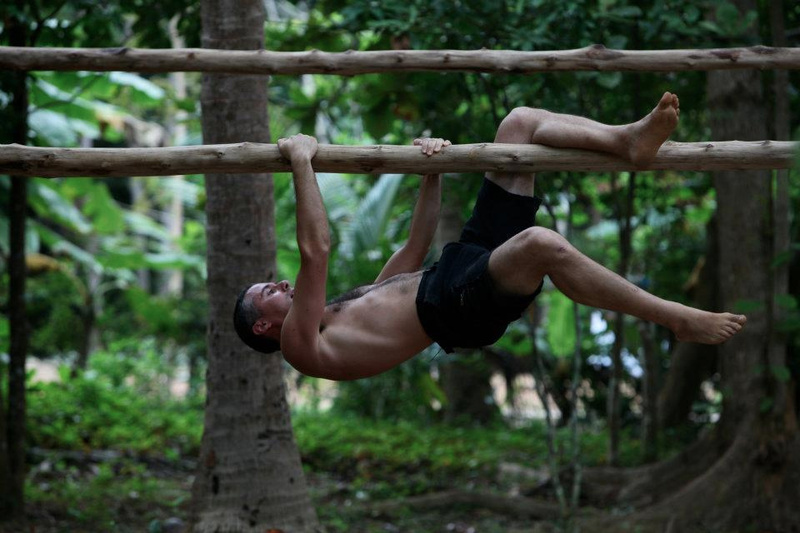 Do you want to do pull-ups on a pull-up bar but not be able to hang from a tree branch because it is thick, slippery, and unstable? Again, greater levels of adaptability are necessary for a greater level of physical capability, and such adaptability is developed only with frequent exposure to diverse, complex environmental variables. 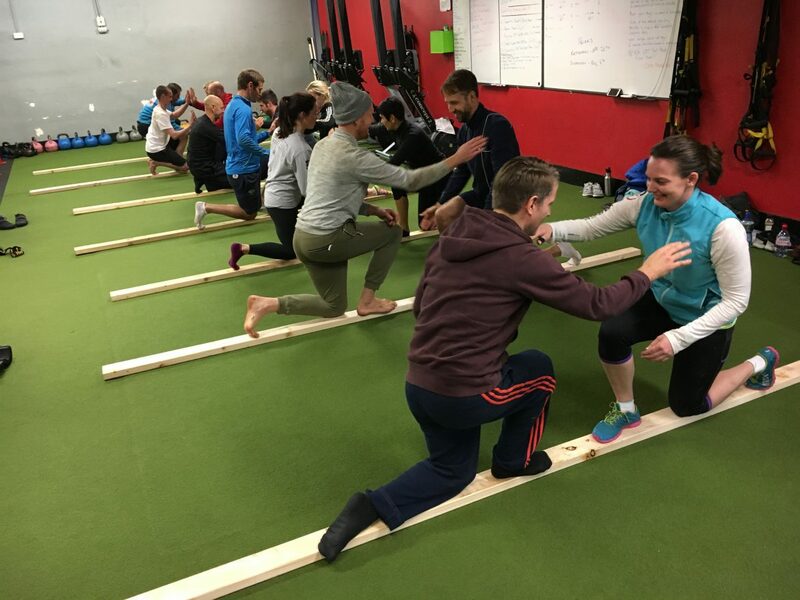 Science has proven that complex movement in complex environments stimulates and increases brain function, encouraging the development of greater body intelligence and greater mind-body connection, which carries over to other areas of life. So, the lesson is to frequently move and practice Natural Movement in environments that encourage you to engage in complex motor skills in increasingly complex environments. Natural environments are often the most complex and least predictable environments; consequently, they’re both the most challenging and rewarding. For example, modern zoos are now designed to replicate some of the natural variables the animals expect from their natural habitat. Zoos are nothing but jails for wild animals, with each cell enriched enough to prevent absolute boredom, depression, and death. Wild animals need more than food and water; they need the environment that enables their natural behavior, which is a condition required to support both their physical and psychological health. Humans are no different. Urban environments are enriched with playgrounds that replicate some of the environmental diversity and complexity found in nature to provide city children with an outlet for their innate Natural Movement behavior that would be otherwise missing. It is obviously beneficial to the children both physically and psychologically even though the surfaces of playgrounds are usually made of metal, plastic, and other synthetic materials rather than wood and stone. But we must reverse our thinking and consider whether it is a little supplemental environmental complexity (either artificial or natural) that is beneficial, or is it actually the near total absence of complexity that is tremendously detrimental to us? Do we want to regard our Natural Movement behavior within diverse and complex environments as something optional to us humans beings and regard our extremely simplified modern physical behavior done within extremely simplified artificial environments the norm? Or should we acknowledge that, biologically speaking, a Natural Movement behavior is a condition for optimal physical and psychological well-being and health? The environmental principle is first a reminder that a Natural Movement interaction with external variables, natural and/or artificial, is the behavioral context that our biology to from a physiological perspective. In short, you need to move naturally several times a day, of course, but also with the level of environmental interaction that involves appropriate environmental stressors. We all understand very common physiological adaptations such as the fact that muscle strength and size increase by lifting heavy weights, but decrease by staying in bed for weeks. Or, that we suntan if we spend time in the sun but become pale if we never step outside and take off our clothes. The causation — direct cause to effect — in those cases is evident, yet most people tend to be unaware that other physiological adaptations take place in our body because of a multitude of other influences, such as the quality (or lack thereof) of what we eat, the air we breathe, how we breathe, how we sleep, and how we think, to name only a few. All these variables have at least a short-term — and in some cases a long-term — influence on how we feel, perform, or look simply because adaptability to environmental stressors goes beyond our movement; it takes place physiologically depending on the diverse variables of the environments that surround us. Whereas, we have been taught for decades that our individual genetic code determines pretty much every aspect of who we are, we now know that other variables, called “environmental stressors,” have in some aspects a greater effect on how we feel, perform, or look than the genes we have inherited. Epigenetics is not restricted to our direct environment. We can’t look only at the influence of external environmental variables without also paying attention to our movement behaviors and how they affect our bodies. If we can understand how our food choices alone can heavily impact how we feel, perform, and look for better or worse, it shouldn’t be too difficult to understand the relationship between our movement behavior, or between our day to day environments and how we feel, perform, and look. Without exception, nature is where we all come from, but we’re also made of nature. The value of time spent in nature and the cost of not spending time in nature are equally and vastly underrated. Yet most people nowadays feel much safer in artificial environments and avoid nature. This predicament is the outcome of a combination of cultural factors. Embracing Natural Movement as a normal, daily behavior and practice is the first step in reconnecting to our nature and in nurturing it, respecting it, and honoring it. Moving naturally in nature is the logical next step in remembering our interconnectedness with the natural world. Despite a constant improvement of medical technologies, health levels in the modern world are decreasing. Maybe the solution to our most common health issues is not found in more or better pills and treatments but in “naturalizing” ourselves again to both more natural environments and physical behaviors. Could the solution to most of our health issues be that simple? Even the fitness gym of the future might not have to be futuristic after all. So, go back more often to where you truly belong, and become healthy again. 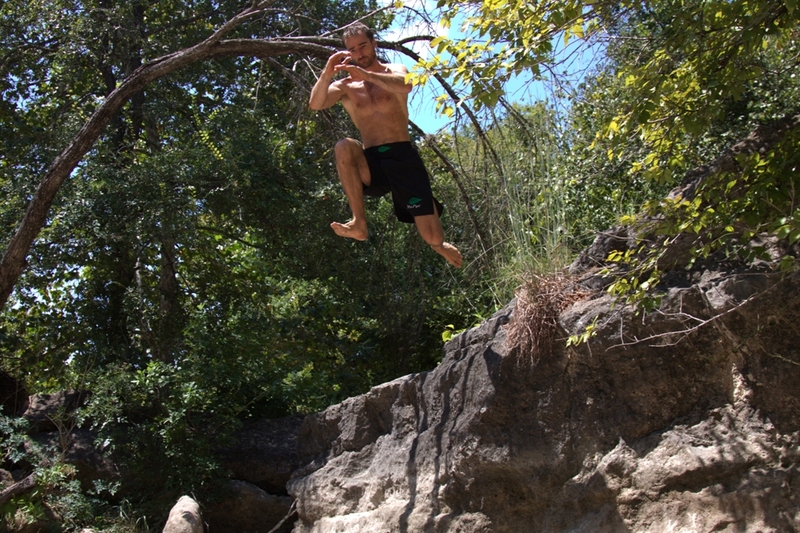 Get out in nature and move! 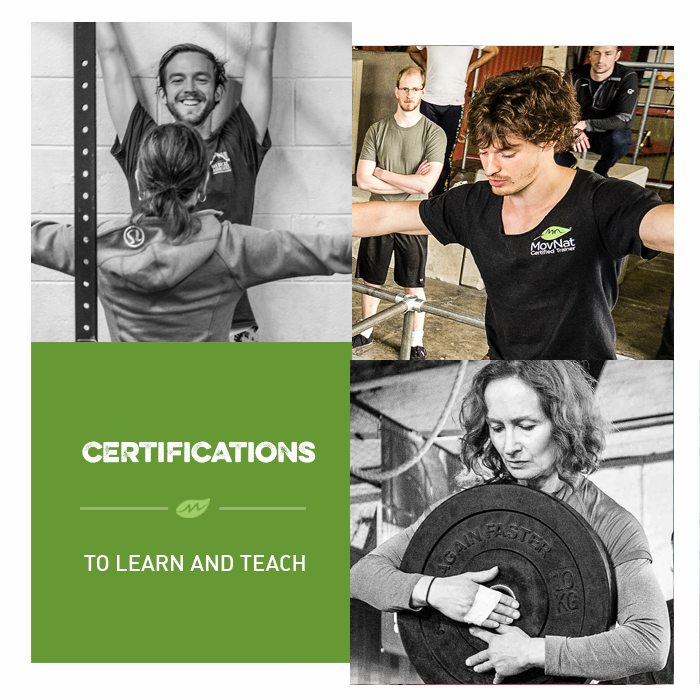 If you’d like to learn more and deepen your natural movement practice, consider attending the MovNat Level 1 Certification or a MovNat Workshop. We hold events all around the world. Or, find a MovNat Certified Trainer or Gym in your area. We also offer MovNat Online Coaching as an alternative to live instruction. Note: this article contains excerpts from Erwan Le Corre’s upcoming book, The Practice of Natural Movement. Also, I love the direction your moving Movnat now – towards real appliability and sensible application (permaculture etc).